I've said many time that a poorly sharpened saw is better than a dull saw. For some people, saw sharpening itself is tedious, although you can get into the zone and find your zen in sharpening. I have the additional challenge of declining vision, which translates into trouble with close work, so I use an Optivisor so that I can see the saw teeth. Overall I think doing a good job on a saw is a lot easier than sharpening a chisel. The characteristics of a good saw vise is that it holds the saw rigid with no vibration. Vibration might not always come off as chattering noise, but it always will shorten the life of your files, and in general make the job of sharpening take longer. While we were busy perfecting the Gramercy Tools Saw Vise, options for great saw files disappeared. First we stocked Nicholson files, but they moved offshore. Then we stocked Bahco. They were okay but they didn't have a wide enough range. Then for years we stocked Grobet. Grobet was never a manufacturer, just a brand. Their Swiss-made files were actually made for them by Vollorbe, a huge company located in Switzerland with a modest profile in the US. A couple of years ago Grobet and Vollorbe had a dispute and ended their arrangement. Grobet sourced all their files from Italy (from Corradi) and from India (from an unknown company). Corradi makes a pretty good file, and I soon realized I didn't need Grobet to sell Corradi files. If I am going to sell Corradi files they might as well say "Corradi" on them and we began to import them. We have been pretty pleased. However, in our shop we discovered that the arises - the flat bit between the sizes of a triangular file - are pretty wide on a saw file (by any maker) and to get better performance we started filing our fine toothed dovetail saw with needle files. This works great and really speeds up the performance of the saw. On our hardware store saw and also our carcase and sash saws we got so disgusted with the inconsistency of the Grobet files that we started using 3-square files - which are seriously more expensive than saw files but have beautiful tiny arrises and gave us the best results. When we could not get them anymore from Grobet we began to order direct from Vallorbe. Even after we switched to Corradi files we ended up sticking with the 3-square files. 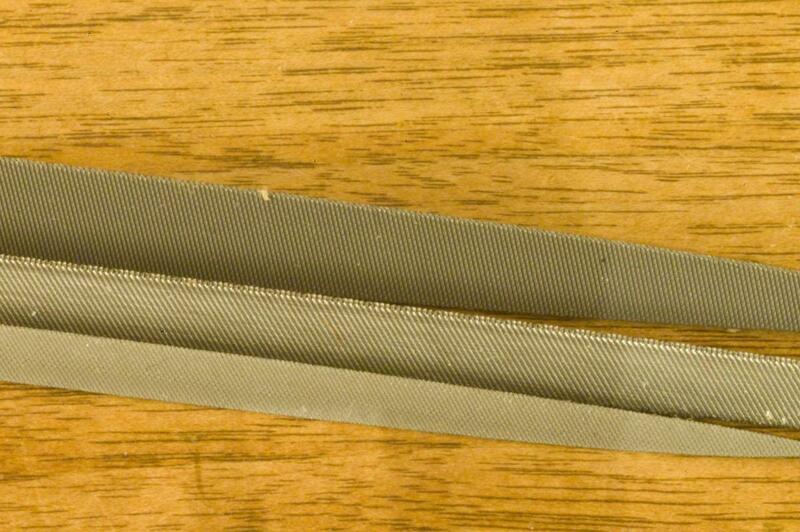 The larger saw files work fine but the narrower arrises on the 3-square makes for faster cutting. It would be a no brainer except for the cost, and I suppose now that we are importing a range of Vallorbe files we really should do a test. So now, in addition to a full range of Corradi saw files, we are stocking a small range of Vallorbe files for sharpening saws. 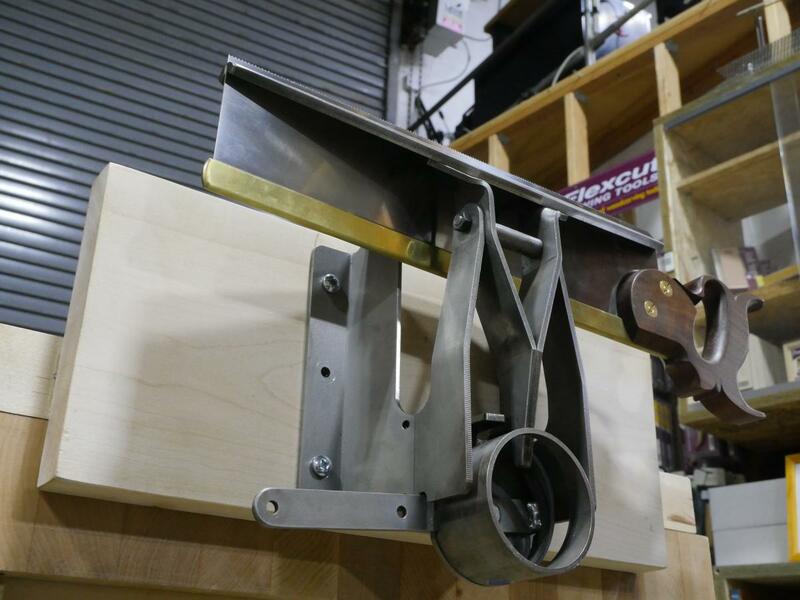 I agree with everything you said, Joel, and would add one thing: The video "Sharpen Your Handsaws" with Ron Herman (that I bought along with the vise) makes a world of difference in the results one can get with the vise. My saws now cut and track better than ever, including a previously useless dovetail saw and a sadly neglected old Disston that is now like new. When do you think you will post the video comparison between saw files? Looking forward to the results... And as always, thank you for continuing to research and stock good tools and equipment! I found one of your saw vises on eBay and bought it. It’s wonderful and lives up to all the claims made about it. Puts a lot of hold in force close to the teeth so there is NO vibration....NONE!